Proudly sitting in front of its burrow. They mostly use abandoned rabbit holes, (somebody told me they can actually expel the real owner), but can dig it themselves if necessary. Their curious and colorful bill fades (yes! at least the superficial layer) every autumn and regrows in the spring. 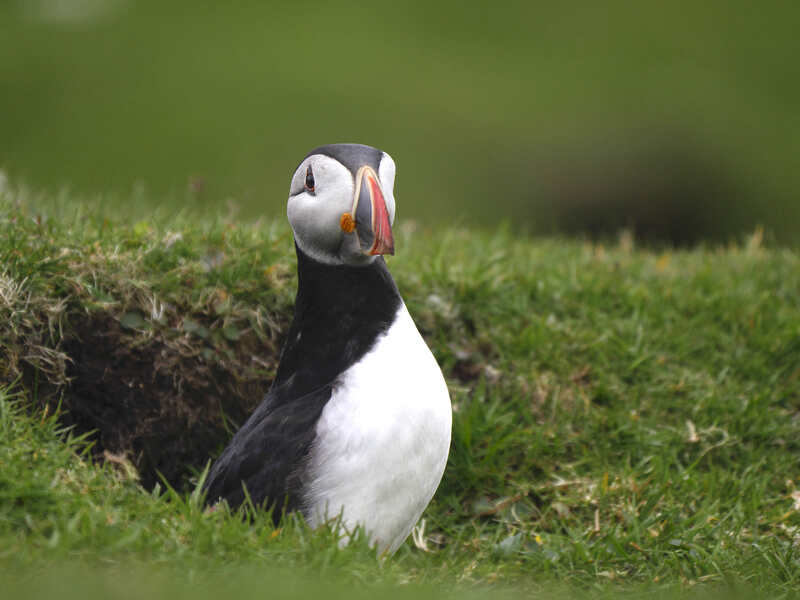 Unlike the other Alcidae, the razorbill and the guillemots, the puffin walks normally and can even run. This one was running to his burrow after waiting for a while until some lady, innocently sitting over the entrance, left. You have to be careful when you visit a colony! As we visited the Shetland early in June, we didn’t see adults bringing back sand-eels to their young. Actually, they were just preparing their nests, as shown here (photo by my daughter). The binocular vision field doesn’t seem to be very large in this species. But it is large enough to catch swift fishes! This entry was written by whyevolutionistrue and posted on October 27, 2018 at 7:30 am and filed under birds, photography. Bookmark the permalink. Follow any comments here with the RSS feed for this post. Both comments and trackbacks are currently closed. A humorous looking bird. What a great opportunity to photograph! Beautiful bird. I wonder what selective pressure produced such a colorful bill and the interesting color pattern of its plumage? Evolution is capable of producing such amazing creatures. Well, when there is no clear logical explanation we always look at sexual selection. I mean even humans, not only a different species, but a different order, find them attractive. I do not affirmatively contend it is runaway selection as proposed by Fisher, but it suspiciously looks like it. And when we look at Tinbergen’s red spot on gull beaks, it might even have some ‘logical’ origins. The bill is interesting and I wouldn’t be surprised if there was a function for the patterns and colors it but a dark dorsal and light ventral surface are a common coloration among sea critters. From above it makes them harder to see, from below too. Helps in predation (both avoiding and committing). I had not connected he Puffin’s coloration with that of the killer whale’s. And, that this particular pattern of coloration belongs to the more general pattern of countershading. Thanks, I learned something new today. The technical aspects of evolution are fascinating. 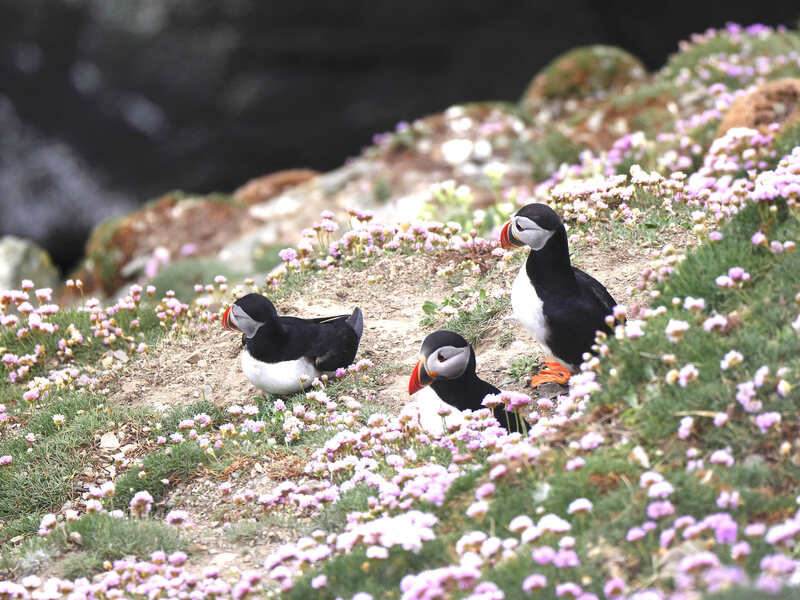 I have watched puffins on the Channel Island of Sark. They are a comic delight. We used to call them the parrots of the north. 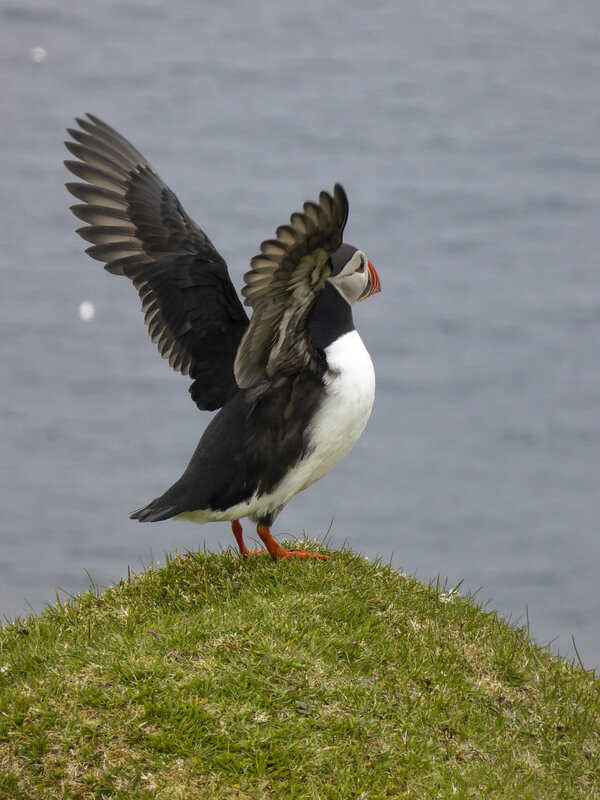 I once saw footage of a great black-backed gull catching and swallowing a puffin on the wing. 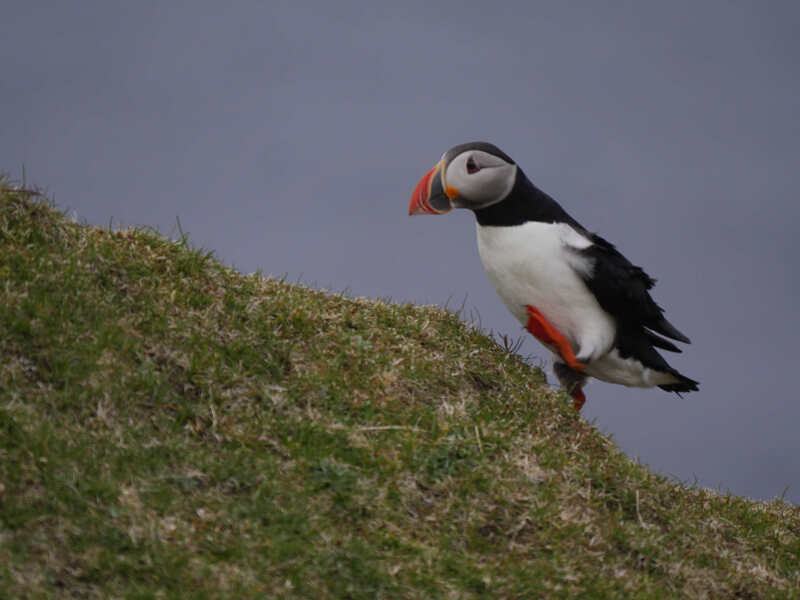 It changed my outlook on puffins, and greater black backed gulls. It was weird. It swallowed it whole. 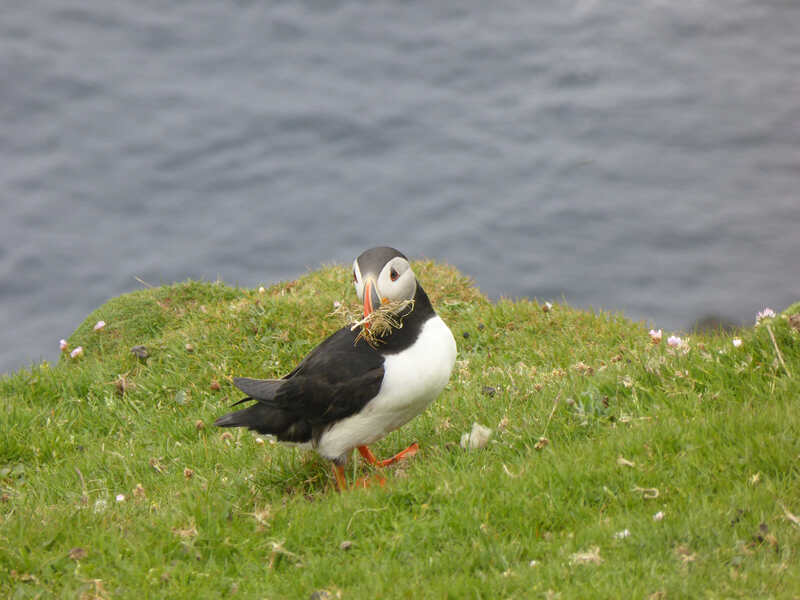 Puffins are preyed upon by greater Black-backed gulls, not just chicks or eggs, but adults. I find that unnerving. GBB Gulls are scary that way! Same as herons, other large waders…But somehow it seems more malevolent with the gulls. Wonderful pictures and commentary. I would very much like to see this species. I hereby nominate puffins for status as honorary cats! I love the puffins! Beautiful pictures. More puffins please. Possibly the world’s most adorable bird! Awww! 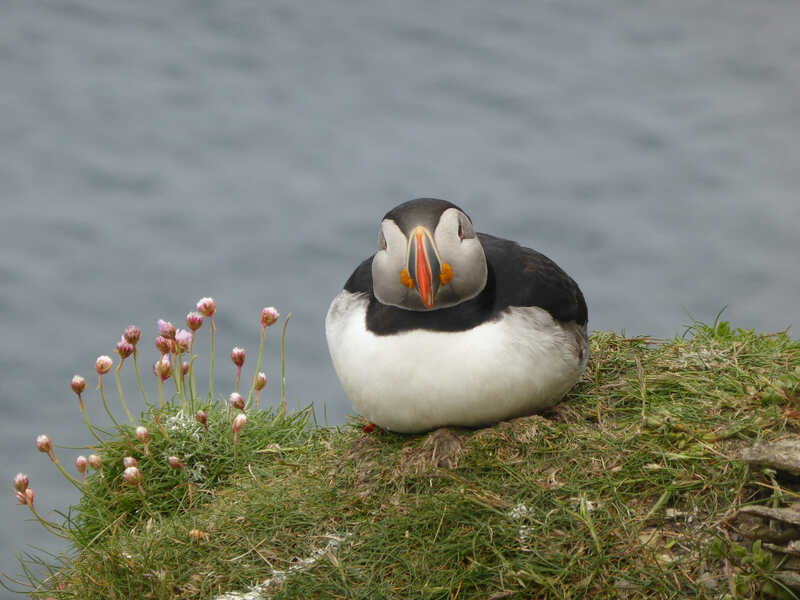 Who doesn’t love puffins! Thanks for the excellent photos, Jacques et fille, and helpful notes as well. This must be some of the most wonderful avian photography I’ve ever seen. Well done, Jacques!